Ok, I have a confession to make. Book stores are my weakness. I love nothing better than the smell of new books. If you’re anything like me, you’ll share my sadness when I tell you there aren’t many small, locally-owned bookstores left. 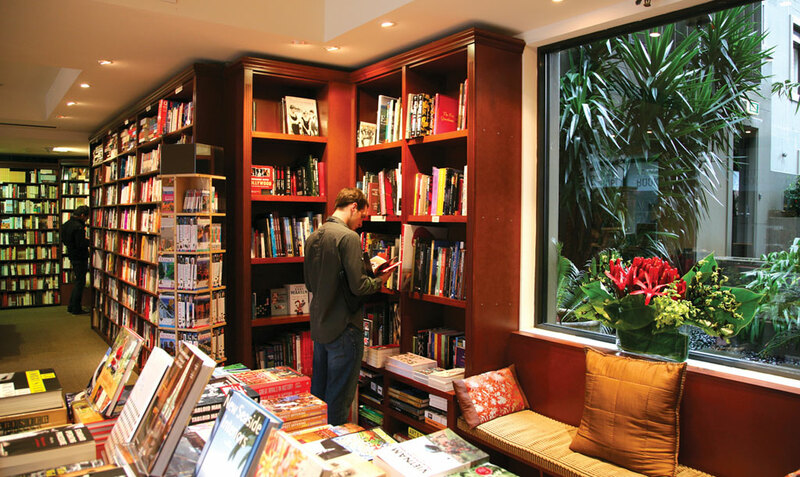 Likewise, the joy I felt when I stumbled upon the literary nook that’s The Potts Point Bookshop. It was like breathing in a little piece of sunshine. When I started talking to the owner, Anna, I realised that I’m not the only one. It’s clear from watching the interactions that this is an important arm of the Potts Point community. They know customers and their reading choices like you would know your own. People come to buy presents, mention a loved one’s name and have a list of recommendations roll off Anna’s tongue. 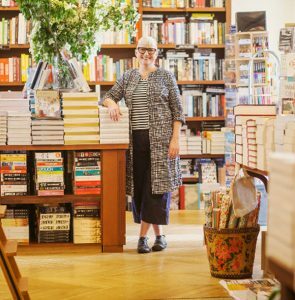 Their collection of books is based on what they know their customers will like, and of course what the best-sellers are. Anna and her staff live and breathe literature meaning you can feel confident they know what they’re talking about. A big portion of their role is to read, read, read so they can pick out what will be of interest to the community. Why did you choose to open your business in Potts Point? I’d been working in what is now my shop for a few years and really loved it. The opportunity arose to buy the business, so I jumped at the chance. What do you like most about owning a business in Potts Point? I absolutely love what I do and it’s a great privilege to work in an area where people value and enjoy books. There’s a very strong community and it’s very rewarding being a part of it. What have been the main inspirations for your business? The books, the books, the books. And the people too, of course. What are the most significant changes you have noticed in the area since opening your business? There are many more people in the neighbourhood since 2004. The whole precinct is much more vibrant with more restaurants and shops. There are also many more families in the neighbourhood. Give me 5 words you would use to describe Potts Point? Cosmopolitan, stylish, community, book lovers. The Looking at Local series are written by Nadia Mori on behalf of Vicki Laing and Anthony Birdsall from Laing Real Estate.